Experience glasses free 3D gaming wherever you go. Play exciting Nintendo franchises like Mario, Mario Kart, The Legend of Zelda and Pokemon. Download classic Game Boy games through the Nintendo eShop. Streetpass with players to earn new puzzle pieces to complete amazing 3D pictures. 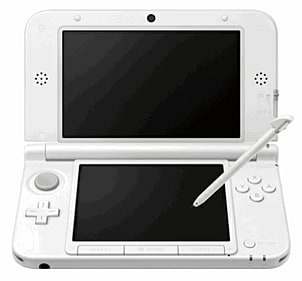 Crisp screen that is 90% larger than the original 3DS screen. The Nintendo 3DS XL literally expands the fun of the Nintendo 3DS with a 90 percent larger screen, creating even more immersive entertainment experiences for users, delivering a wealth of games and video content that can be enjoyed on the go. All 3DS games are compatible with the 3DS XL, meaning you can experience all the fun of glasses-free 3D graphics and gameplay, bigger and more vibrant than ever! 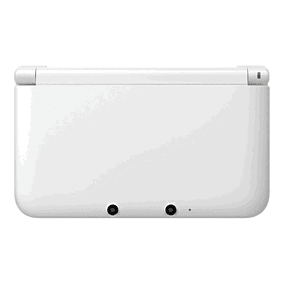 The Nintendo 3DS XL features a longer battery life than the 3DS, and even includes a 4 GB SD card which you can use to store content such as downloadable games and videos from the Nintendo eShop.